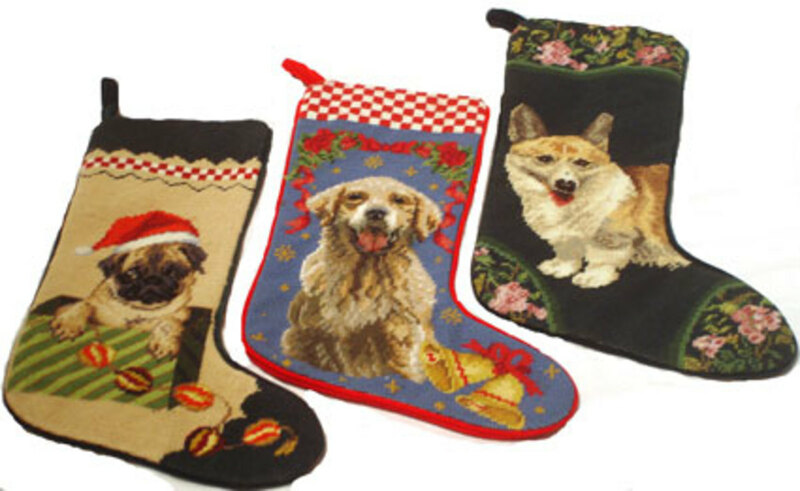 Dog Christmas stockings are probably the most popular pet Christmas stocking, and they can range from playful types that have funny lines like "Yappy Christmas" on them, to gorgeous breed-themed Christmas stockings that are close to being a work of art. 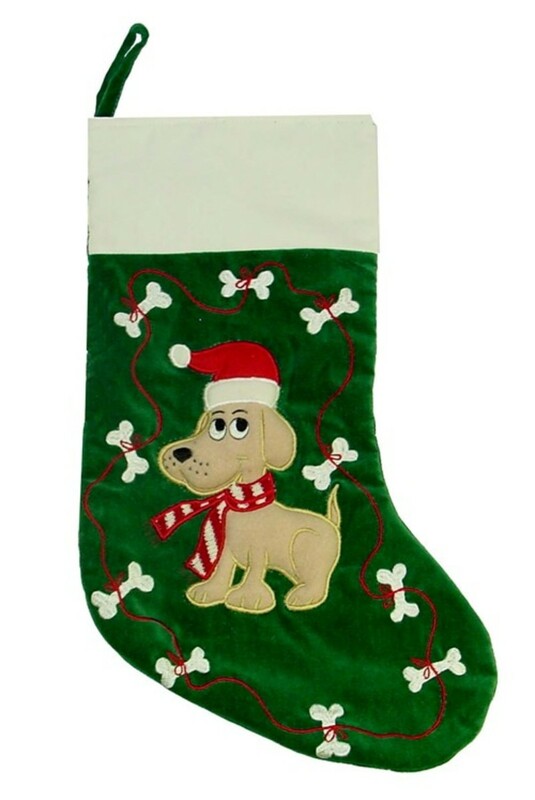 Either way, dog Christmas stockings are a great way to show your appreciation for your pooch, and ultimately, is a lot of satisfaction to us, especially when they have those doggy toys or goodies we include in the stockings. For those who like to do something different every year, there are also dog Christmas stockings filled with everything for the dog, and sealed until you open it for them on Christmas morning. 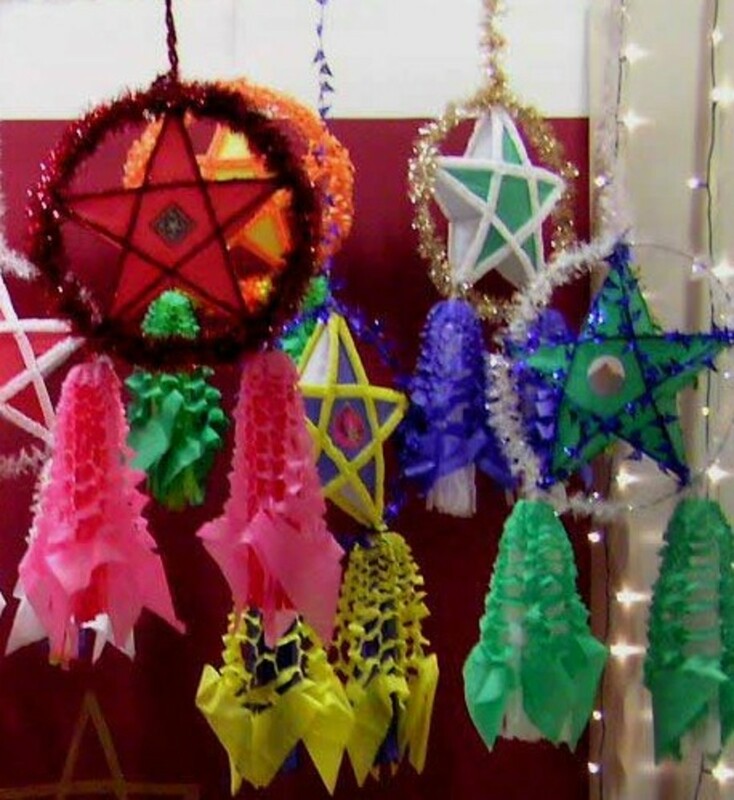 Once you're done, you can just throw it away if you like to do something different every year. It of course also helps you get something all at once and not have to do all that extra shopping. You know how dogs are, they can be awfully fussy at times! 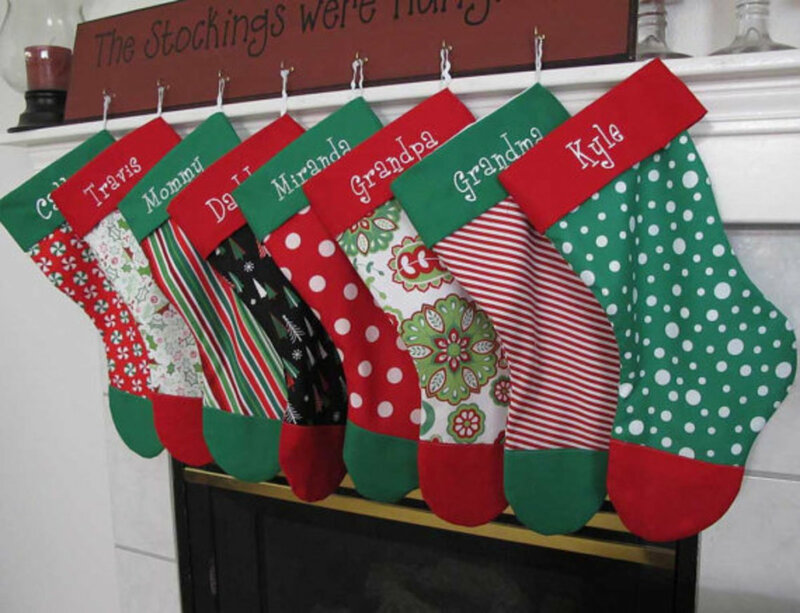 It is of course great fun to have all the stockings out with the children and grandchildren, and then on the end have your dog or dogs' stockings hanging for all to admire and have fun with. 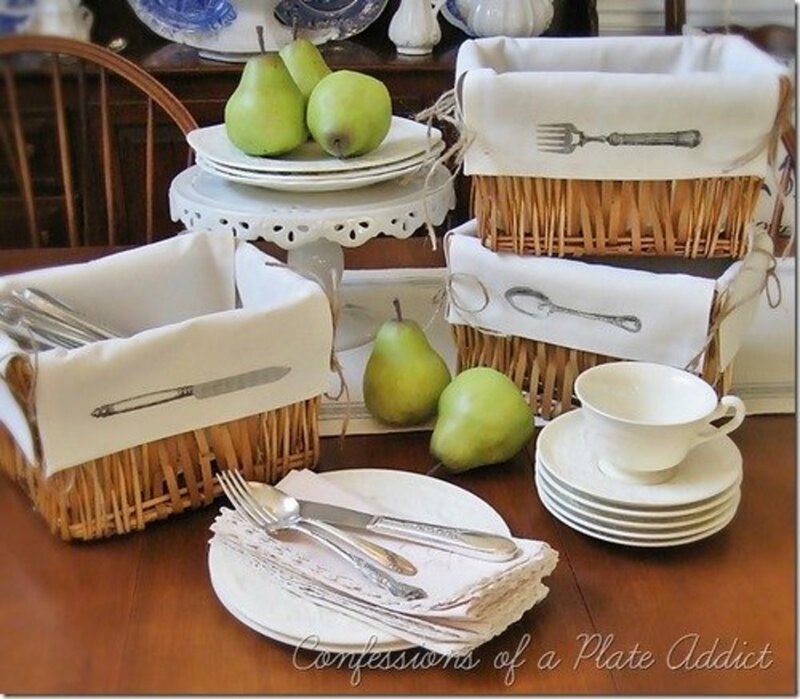 They are great conversation pieces for sure. 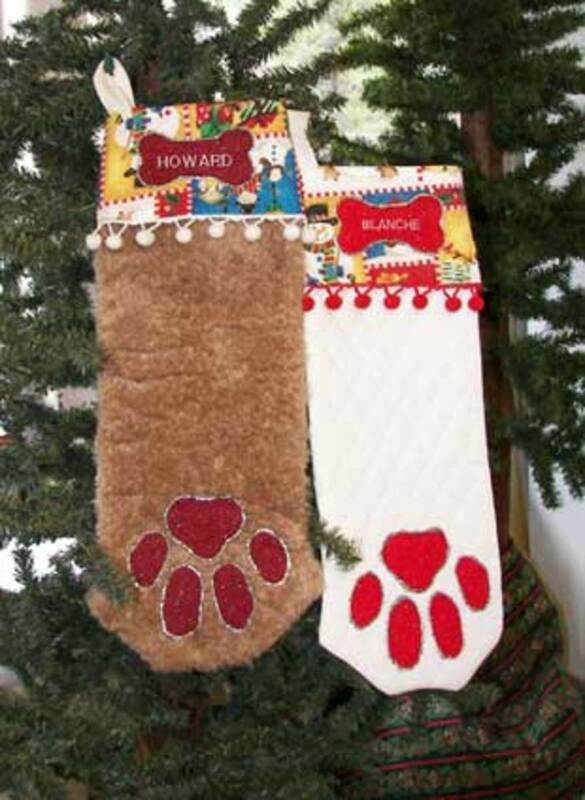 Here is a popular and humorous way to have a dog Christmas stocking, as it is very fun to have the dog paw on the stocking, and it goes well with whatever dog breed you have. 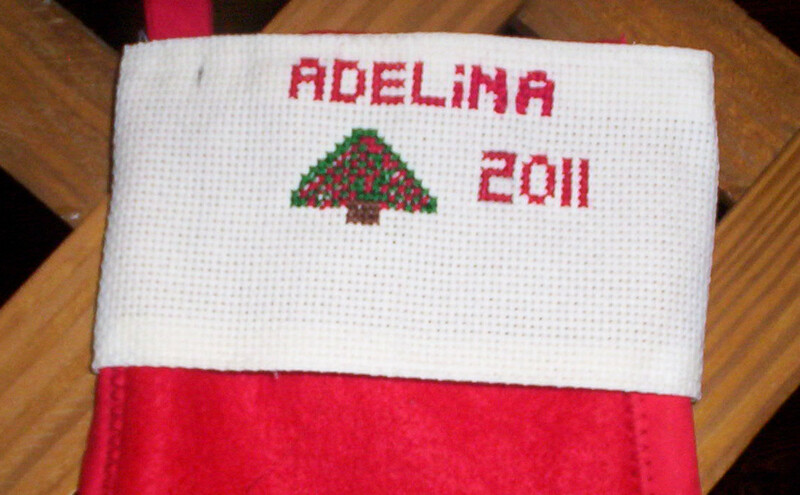 There's no doubt whose Christmas stocking this is when you look at it. 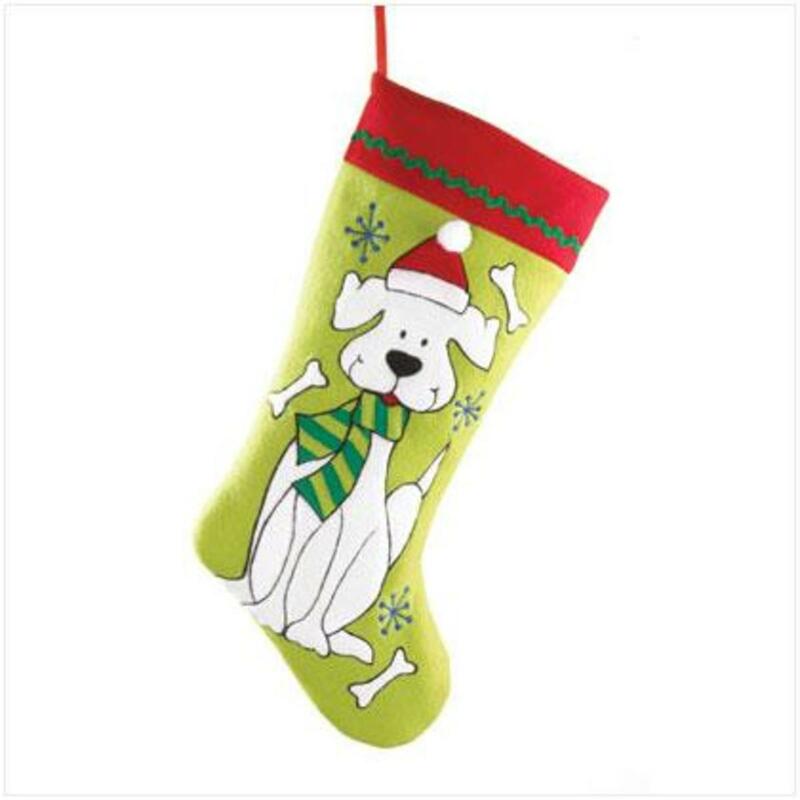 Another favorite dog Christmas stocking are those with dog bones as part of the design and theme. You have the dog bones directly below the snow top with the name of the dog on it, scattered across the red background. Then there are the bones surrounding the dog in the middle photo, which looks fantastic, and finally, and my favorite, is the dog Christmas stocking shaped like a bone itself. What fun! A growing number of people don't want only a general dog Christmas stocking, but they like to celebrate their best friend by having a dog breed Christmas stocking, showing off the canine for all that see. 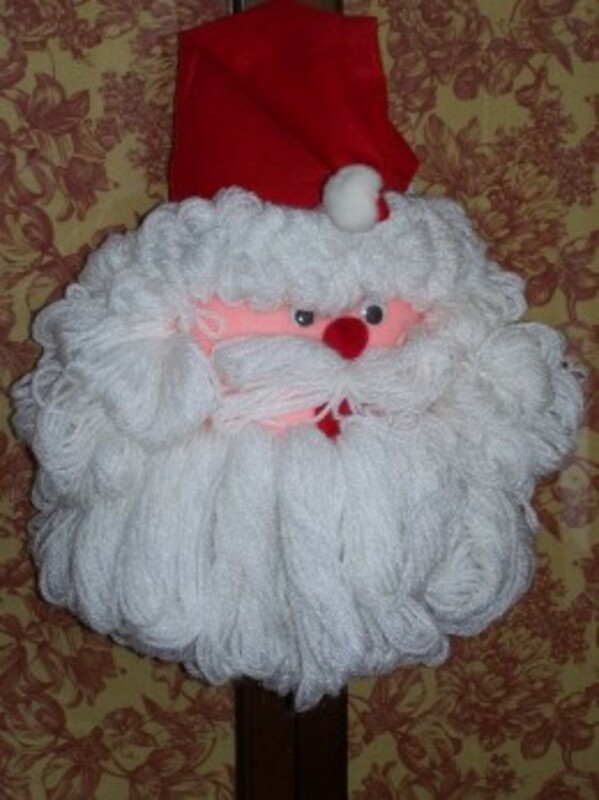 These are really nicely done, and some businesses offer dozens of breeds to choose from, and so you have a great chance to match a breed Christmas stocking to your dog. 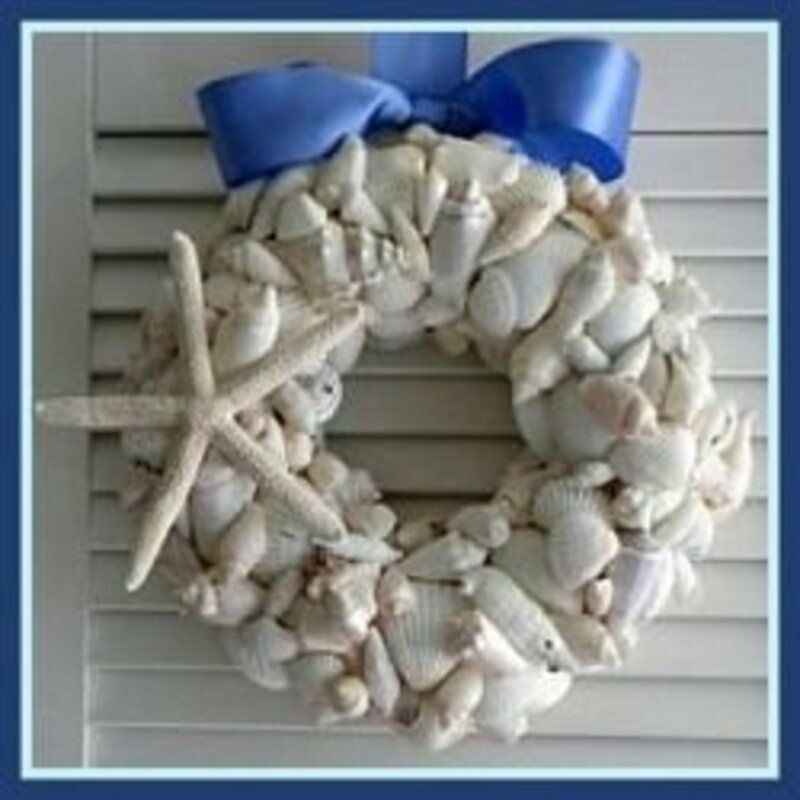 They are also great in complementing your general Christmas decor as well. 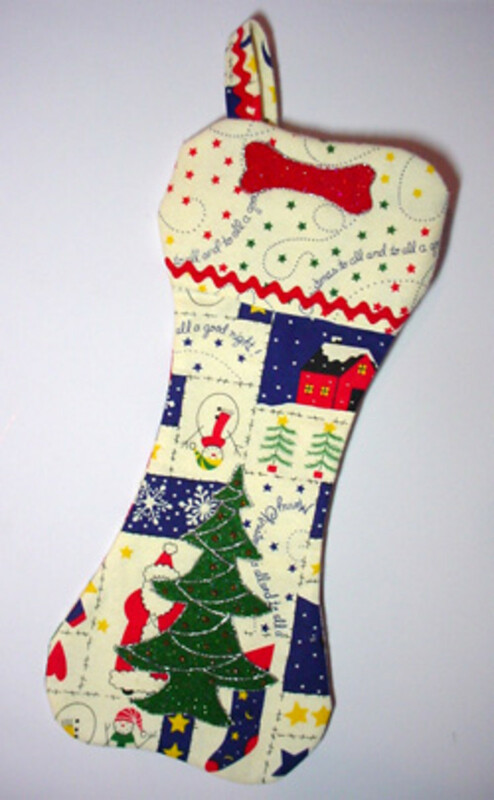 I just loved this light-hearted dog Christmas stocking and wanted to include it in the article the second I saw it. This silly looking dog seems to personify what many of us think of our own dogs, whether they look in any way like him or not. 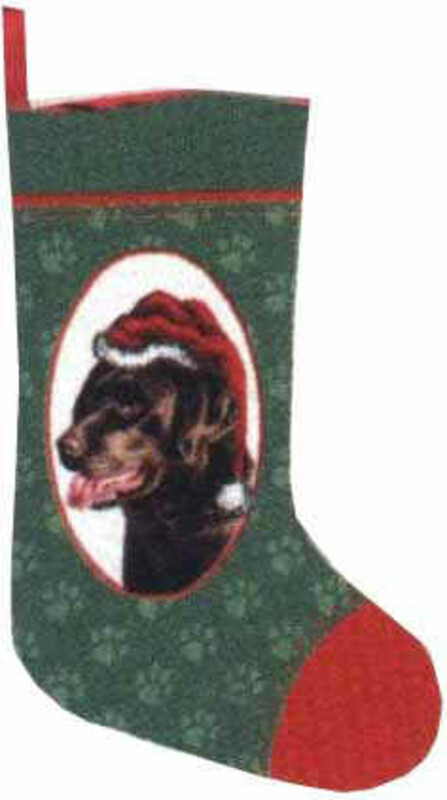 It's the personality of the dog that is being displayed with this fun Christmas stocking. Why Dog Christmas Stockings are so Great! 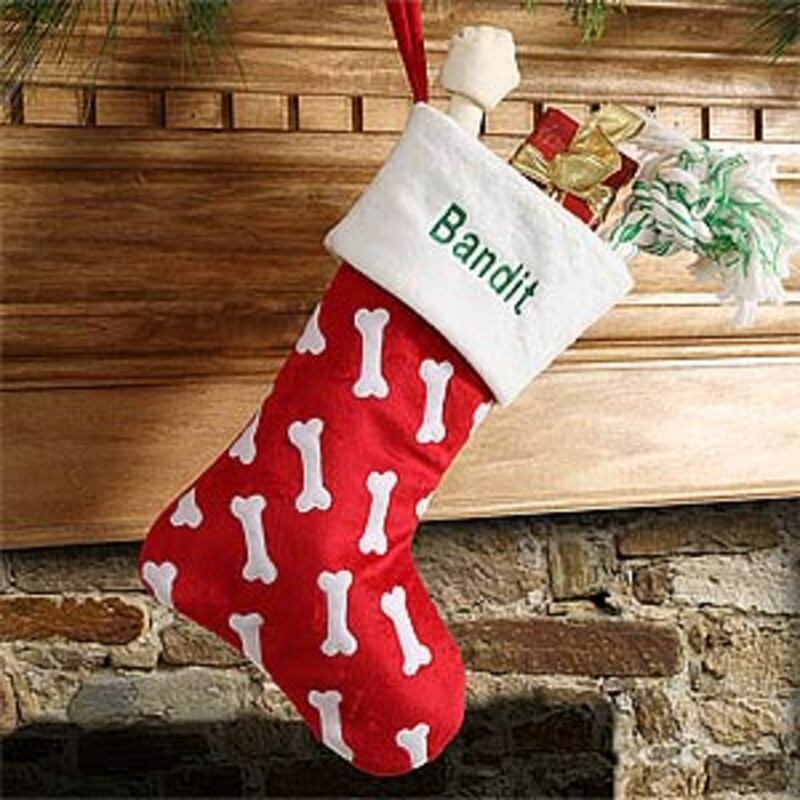 Now you know why dog lovers get their best friends a Christmas stocking. 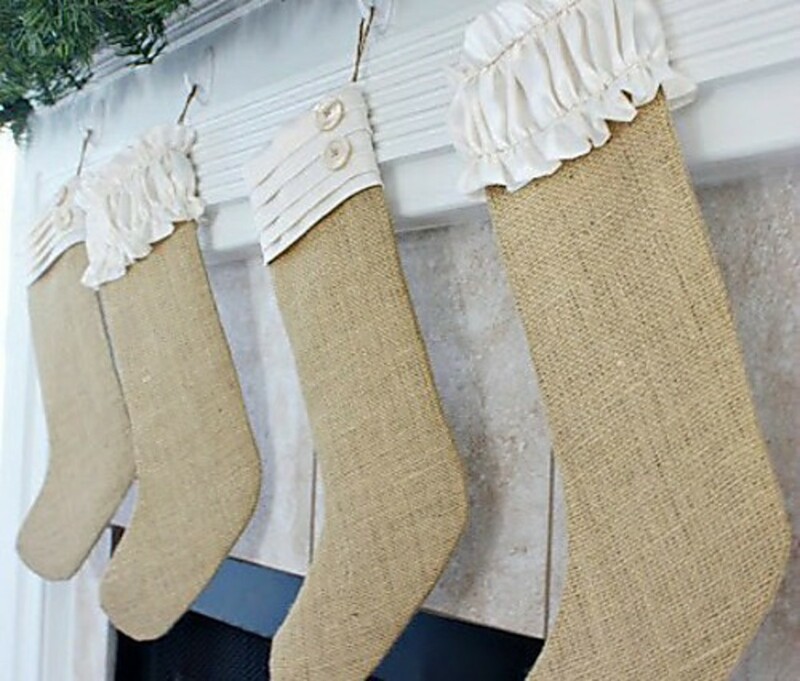 All of the ones above, to me, would look great next to the rest of the family's stockings, and add that extra touch that makes Christmas such a special time of the year.